The Damico collar combines style and pizazz to any dogs collar collection. The cotton fabric combines white and brown print with teal stitching. 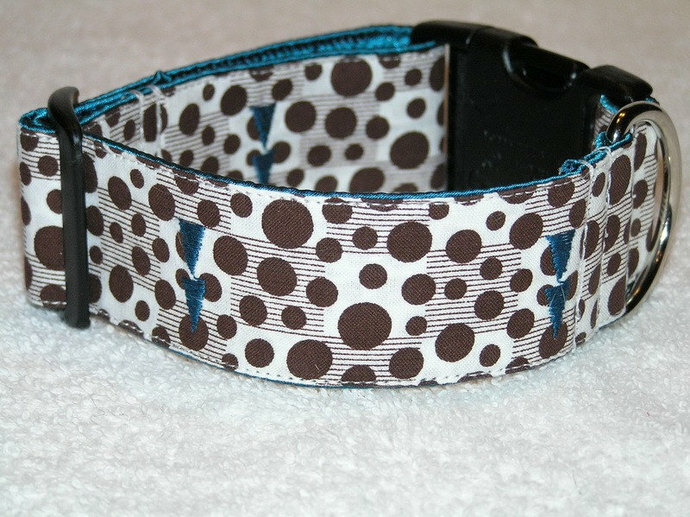 This collar comes with a teal satin lining.